Welcome readers! I have a number of stories in The ABCs of Erotica series partially completed. Help choose the next release. If you would like to sample my work, get a free copy of “B is for Beach” from The ABCs of Erotica by signing up for my mailing list here. 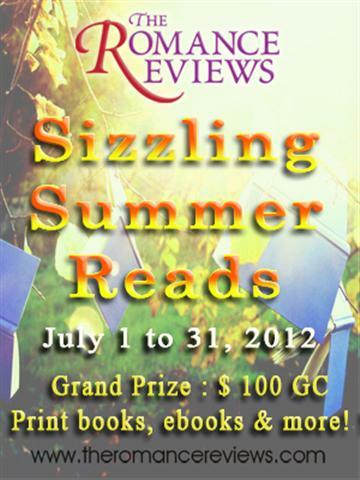 Please join me and over 400 other authors for the Sizzling Summer Reads Party 2012. Thank you to our host The Romance Reviews. I’m giving away a copy of Mia’s Cop Craving. If you’d like to win, just visit this link and view the question regarding the story. The answer can be found on my web site. Please check out my published releases below.